The last of the decorations are neatly in their boxes and the new calendars have been organized to get the new year started. What are you doing to make sure that you work will flow in 2018? What should you do first? What are the trends? What are the quick fixes to start the year? Let’s start with the obvious – you can’t have great workflow if you don’t have a great process. Audits, reviews, walk throughs – whatever you want to call the process isn’t important. What is important is to start 2018 with a clear understanding of what you do once a customer says they want you to do the work, how work comes in the door, how it flows through your shop, and how it gets delivered back out to the customer. Oh! And how that all happens at the lowest cost to the business to maximize margins! Audits are the sexiest thing you can do to start 2018! For this fast, wizardly fix for 2018, cast a dispassionate eye on your workflow. Consider bringing in some outside help. Companies that hire help generally make faster strides toward optimized processes. An outside force often eliminates the problem of “we always do it this way” and “John likes it done this way” challenges that allow poor practices to continue. You might spend a few thousand dollars, but it could save you tens of thousands over the year! Another fast fix for 2018 is to look at your current workflow, print and finishing to find some new products to your portfolio! Wizards know that selling the same thing to everyone puts pressure on your margins. Look for product extensions to offer your current customers and new packages that might attracts new clients. Restaurants, landscapers, real estate professionals, home inspectors, the whole cast professionals in the various home repair networks, and professional corporations like lawyers and insurance agencies have print needs. My mailbox tells me they all believe in print, but could use some help in stepping up their game. This could be the year that you become the answer to their needs! Post cards, door tags, magnets, and even personalized certificates for their clients can add to your revenue stream. And you should find that your workflow can accommodate new products without too many changes! It looks like this will be a year of change in the world of workflow vendors. More vendors are offering subscription payment options and cloud delivery options. If you haven’t looked at how you are paying and how you are working with your vendors, take some time at the start of this year. You might find savings! Frameworks are going to be big, so check with your vendors to see if they are moving to solutions that allow you to buy what you need when you need it, and expand as your business grows. Adding new software solutions to your workflow? A new Print MIS or Order Management system? Look for solutions that offer integration with other platforms. 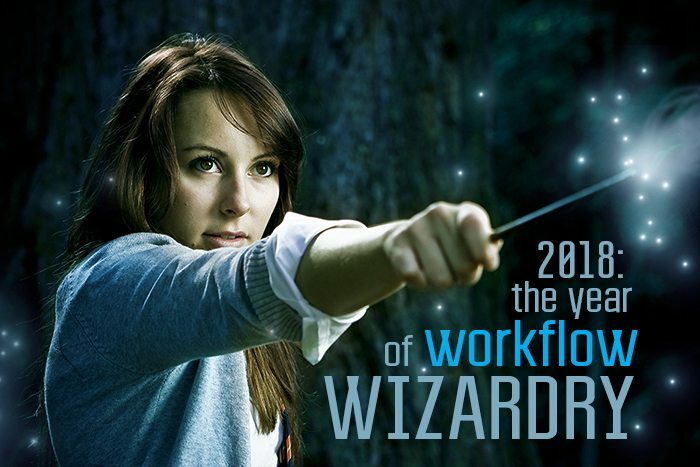 The biggest prediction in the Wizardly World of Workflow is that there will be change and consolidation. (Sort of a safe bet!) Keep an eye here for more ways to cast the right spells on your Workflow to make it the best it can be! Pat McGrew is the Director and Evangelist for the Production Workflow Service at KeyPoint Intelligence/InfoTrends. As an analyst and industry educator, Pat works with InfoTrends customers and their clients to promote workflow effectiveness. 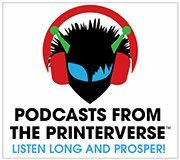 She also has a background in data-driven customer communication, and production printing with offset, inkjet and toner. Co-author of 8 industry books, editor of A Guide to the Electronic Document Body of Knowledge, and regular writer in the industry trade press, Pat won the 2014 #GirlsWhoPrint Girlie Award for dedication to education and communication in the industry, and the 2016 Brian Platte Lifetime Achievement Award from Xplor International. Find Pat on Twitter @PatMcGrew and on LinkedIn.